This guy eats one enormous meal a day, says he is not hungry and has good blood work and a good weight. Intermittent fasting is a recognised and healthy way to lose weight. There are different variations on this: Some people use a 16:8 fast, where they eat during 8 hours and fast the other 16 hours in the day. Some people fast on a 5:2 basis, where they eat only 500 calories on 2 days of the week (often Mondays and Thursdays) and eat what they like the rest of the week. This guy has taken it what seems to be a step further, looks like a 23:1 fasting diet, where he eats during 1 hour of the day and fasts the rest of the time. Do you think you could do this? Fasting is a healthy way to lose weight, (except for diabetics) provided you are not starving yourself, however, if you have had eating problems in the past, fasting diets are NOT suitable for you. If you have any health concerns about your weight or your nutrition or weight loss, consult your doctor or a qualified nutritionist or dietitian. Hey, look what I have found for you – a video of a workout challenge that will help you lose inches in just a week – 7 days! The video starts straight into exercise, so if you’re going to follow it, do a 1 minute march on the sport to warm up your muscles before starting. Combine this with healthy eating and you’re onto a winner, especially if you have to lose weight for a special event that’s coming up very soon. Quick weight loss diets will work but very often, you put the lost weight straight back on once you have finished the diet but with exercise, you will improve your fitness and put muscle in place of fat, so you keep on losing weight because muscle uses more energy than fat. And practising clean eating for a week will help you keep on eating in a healthy manner, so you win in all ways. If you have not exercised at all or for a long time, you should consult your doctor or other health professional before starting on an exercise plan. Sufferers from inflammatory bowel diseases, such as IBD, IBS, Celiac disease, Crohn’s Disease, Ulcerative Colitis, etc., have often been told they will “need to eat a bland diet from now on, with no fiber, etc”. Sufferers have also been told that what they eat makes no difference to the course of the disease. Those who suffer from any of these diseases may try eating bland diets but what is a bland diet and does it really help to alleviate the problems that people with Crohns and Ulcerative Colitis, etc experience? One sufferer was told that he must eat pasta and mashed potato, no fiber of any kind, no fruit, etc. Others have been told to stay off spices. Some people are also allergic to, or suffer from food intolerances with milk or gluten (bread). One mother was desperate to help her 4 year old child, suffering from chronic Ulcerative Colitis. Most doctors could not help, they learned nothing about nutrition in medical school and many still do not, even these days. Finally, she found Dr. Sydney Haas who had been successfully treating people with Celiac disease and he was able to help her child through changing her diet. The mother was Elaine Gottschall and she went on to fully research the whole area of inflammatory bowel disease, working closely with Dr. Haas and gaining a degree and a masters degree in subjects related to the area. 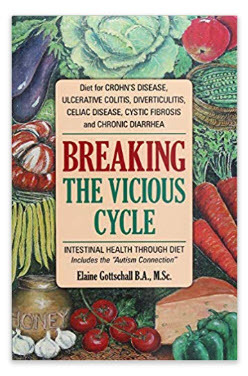 Elaine wrote a book, “Breaking The Vicious Cycle” which has has been through 18 reprints and which has helped countless sufferers from inflammatory bowel disease to live much improved lives. If you want to know more about helping relieve the kinds of problems such as gas, inflammation, pain, bleeding and diarrhea, that people with IBD, etc., experience, then read the book. The recommended “bland” diet actually comprised the very foods that, according to Elaine Gottschall’s book, were CAUSING the bowel problems. Foods like bread, potatoes, pasta, sweet potatoes, cakes, cookies and anything with sugar or flour, etc are not allowed on this diet. Yet you can happily eat most fruit and many vegetables, along with meat, fish and eggs, to provide a balanced, healthy, nutritious diet. And if you want a bit of sweet stuff, honey is allowed! 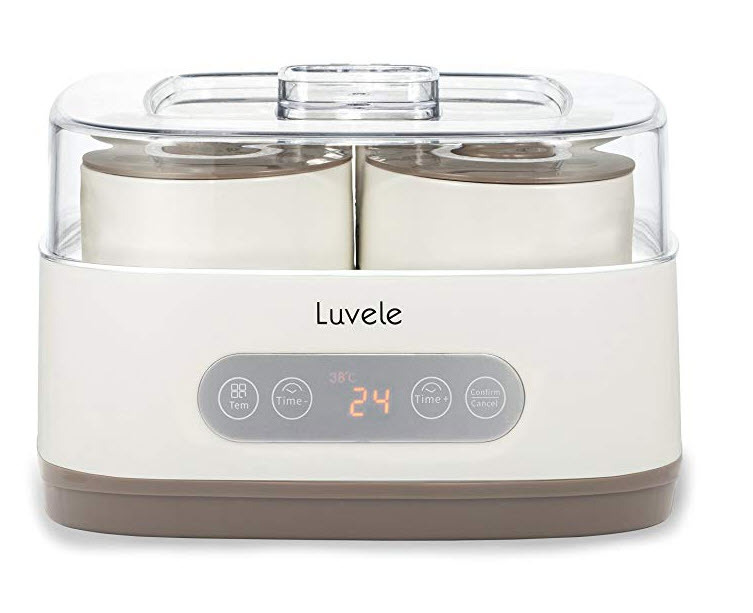 For those suffering badly from any of these diseases, an initial food of carrot soup prepared in a particular way is very helpful, followed a short while later (a few days) with a special 24 hour yogurt made at home, usually in a yogurt maker. So what can you eat for breakfast? No problem. How about scrambled eggs? (NO MILK). Melt a bit of butter in a saucepan, add your mixed eggs and cook to your preferred consistency. If you cannot take butter, you can scramble the eggs without, provided you take care and keep stirring. There’s also poached egg on spinach or a boiled egg. Remember, no toast, unless you make up some special almond flour bread from one of the recipes in the book “Breaking The Vicious Cycle“, by Elaine Gottschall. Alternatively, what about a banana? Make sure there are brown spots on the skin. This means the carbohydrate in the banana has changed to the easily digestible form. 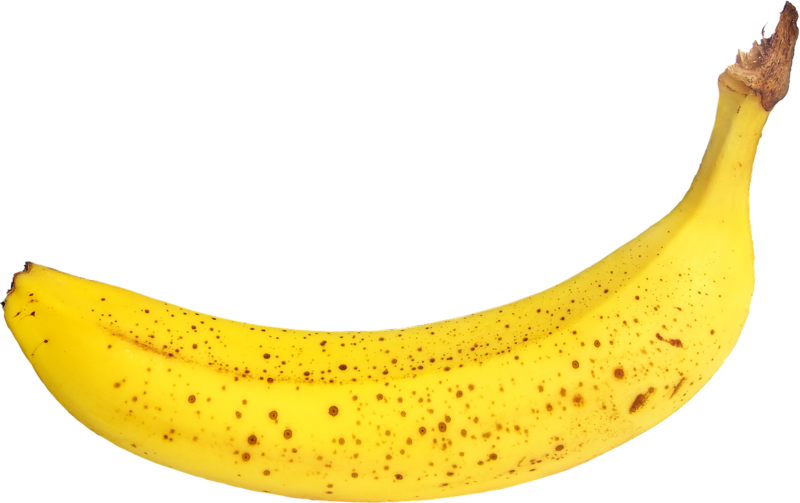 If your insides are very painful or you have a lot of symptoms, try mashing the banana before eating. Once the symptoms have subsided, you could also add dates and grapes to make a super-healthy, filling breakfast. You could even add a special almond and honey muffin. The picture shows a honey, almond and coconut muffin but these should only be eaten after all diarrhea has stopped. 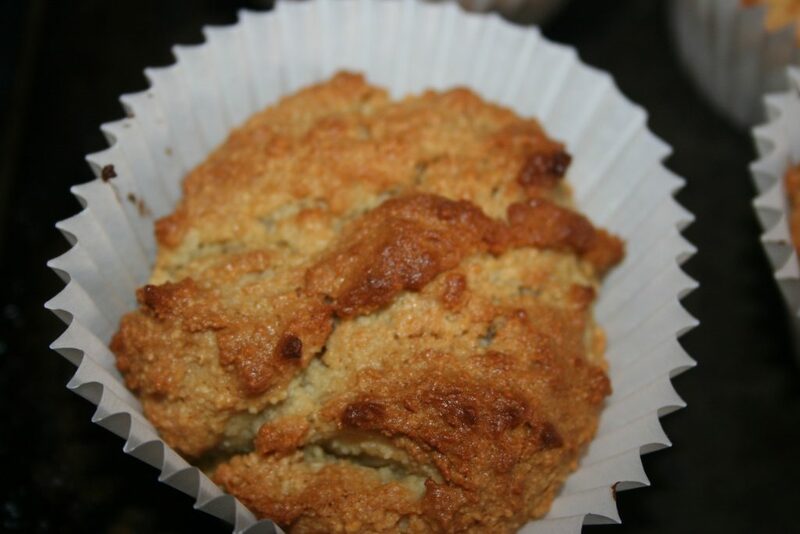 Until then, eat the honey almond muffins made with the recipe in the book “Breaking The Vicious Cycle“. 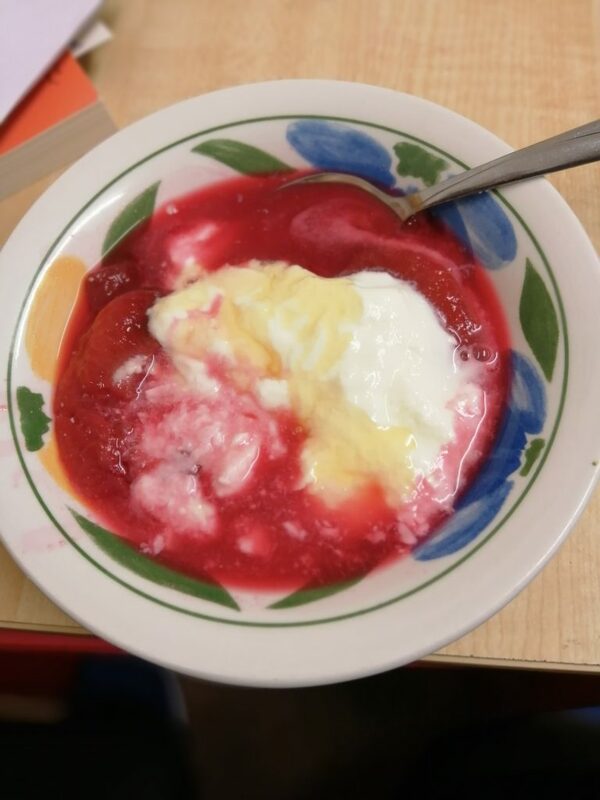 Another possibility is a bowl of the 24 hour yogurt with stewed fruit. This can also be a delicious dessert. Pears, eating apples or plums are all delicious when stewed in a little water (no sugar). If you need more sweetness, drizzle some honey on top of the yogurt and stewed fruit – delightful.